Get ready for the ride of your lifetime! 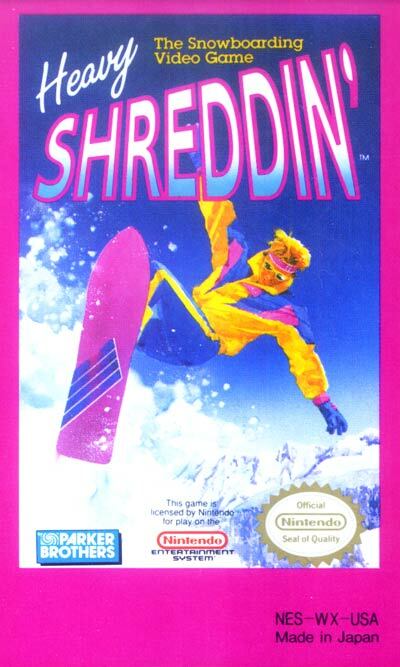 With the HEAVY SHREDDIN' video game, you'll be traveling down slick, snow covered mountains on a single snowboard that's not much larger than a ski. To survive your runs, you'll have to master some hot moves to get around the dangerous obstacles ready to trip you up. Complete all five events (18 levels in all) and you'll be rewarded with the coveted WORLD CUP trophy. It won't be easy. But you can bet it'll be fun!